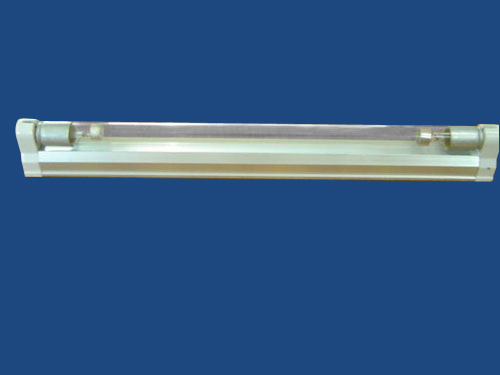 Shielded germicidal UV fixtures (wall fixed), possibility of 24 hour continuous running, possibility of installation in room where ceiling height is not more than 2,70 m, metal body, power 220V/50 Hz. UV lamp life not less than 8 000 hours, luminous power decrease after 5000 hours of work preferably not more than 12%. Disinfecting cabinets,microwave ovens,air conditioners, air purfier and other home appliance. Disinfect the air and surface of the goods in hospital,school,hotel,office,and homes. Looking for ideal UVC Light Fixture Manufacturer & supplier ? We have a wide selection at great prices to help you get creative. All the Ultraviolet Light Fixtures are quality guaranteed. We are China Origin Factory of Air Purifier UV Fixture. If you have any question, please feel free to contact us.